We have windows 2008 server and I want to find out as when the server was last shutdown and when it was powered on again. you can check the event logs on the server, but for that you need to first power on the server and check the system event logs. Check event logs for Event I'Ds 6005, 6009, and 6013 to see these types of events . If you just want to know the last time it was booted up, you can just open the task manager on the server and look at the "Performance" tab, which should show you the systems uptime. 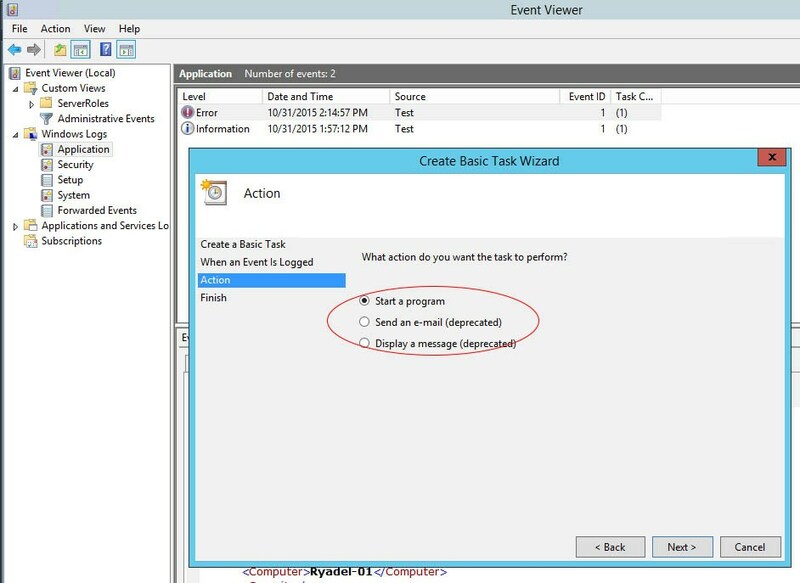 Windows Server 2008 RC2 – and all the previous versions – gives the user the option to setup a native e-mail alert: all we need to do is to right-click the log file/event where we want to attach the notification upon and select the Attach a task to this log/event… command: then, in the Action panel, choose Send an e-mail and fill up the required fields: sender, address, SMTP server info,etc.